Councilman Mark Squilla’s office has generously donated 25 turkeys to help launch our campaign to provide 25 local families with a Thanksgiving dinner. We’re committed to raising $800 over the next few days to so that the families have a complete meal. Please consider donating towards our cause – any amount will help! Each family will receive a full meal including, turkey, gravy, stuffing, mashed potatoes, shell pasta and cheese, string beans, peas, corn, candied yams, corn, cranberry sauce, apple sauce, desserts and more. Please note that we are raising funds to purchase the items rather than asking for canned-good donations. Every contribution counts. Please consider donating today. EPX will be assembling the bagged meals Tuesday, November 20 from 6:00pm-7:30pm at the East Passyunk Community Center. We will be distributing the bagged meals to confirmed families from 7:30pm-9pm at the East Passyunk Community Center. If you’re interested in volunteering in any capacity, or if you have a friend or neighbor struggling this season who could benefit from a Thanksgiving meal, please reach out to contact@epcrossing.org. Posted in Board of Directors, eventcalendar, events, feature, membership. Please join us for our General Membership Meeting on Monday, March 5th at 7pm at the East Passyunk Community Center, located at 1025 Mifflin Street. The agenda includes updates on our community initiatives, as well as a presentation by the Philadelphia Water Department with a brief on the projects and street closures in East Passyunk Crossing. This meeting is free and open to all neighbors. You can become a member of EPX if you live 6th to Broad, Tasker to Snyder. Hope to see you there! Posted in eventcalendar, meeting announcements, membership. EPX members (and friends) get the lunch special (burger, friends and soda for $12.50 shake upgrade adds 2.50) or $2 off a milkshake. Feel free to BYOB to make your milkshake extra special. Remember its a cash only place! Bring your friends, your kids and your smiles! Posted in eventcalendar, marketing & events, membership. The March 2014 Fundraising and Events Meeting will be held on Tuesday March 11th at 7:30PM. The meeting will take place at the EPX Office (Neumann-Goretti High School Room 207). Come help plan the Bowling Fundraiser! EPX Supports Girl Scouts Cookies – Campaign 2014! 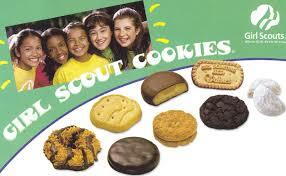 Join EPX in supporting the local chapter of the Girl Scouts of America by buying cookies! Each box costs only $4.00, so come buy a box, or two, at our General Membership meeting on Monday, March 3rd. The activity of selling cookies is directly related to the Girl Scouts of America’s purpose of helping all girls realize their full potential and become strong, confident, and resourceful citizens. * Girl Scouts practice life skills like goal setting, money management, and teamwork—and they have fun! * Customers get a great product and get to support girls in their own community. * All of the proceeds support Girl Scouting in the local community. Posted in eventcalendar, events, feature, membership. Giving Thanks! Each year, at this time, the Board of EPX through the generosity of our membership and area businesses, works to complete our annual charitable giving campaign! Donations are tax deductible as EPX is a 501(c)(3) exempt charitable organization! Donations may also be made at the December General Membership meeting or through the Paypal link below. EPX donations this year started by identifying needy families from local Catholic parishes and Southwark Elementary School. 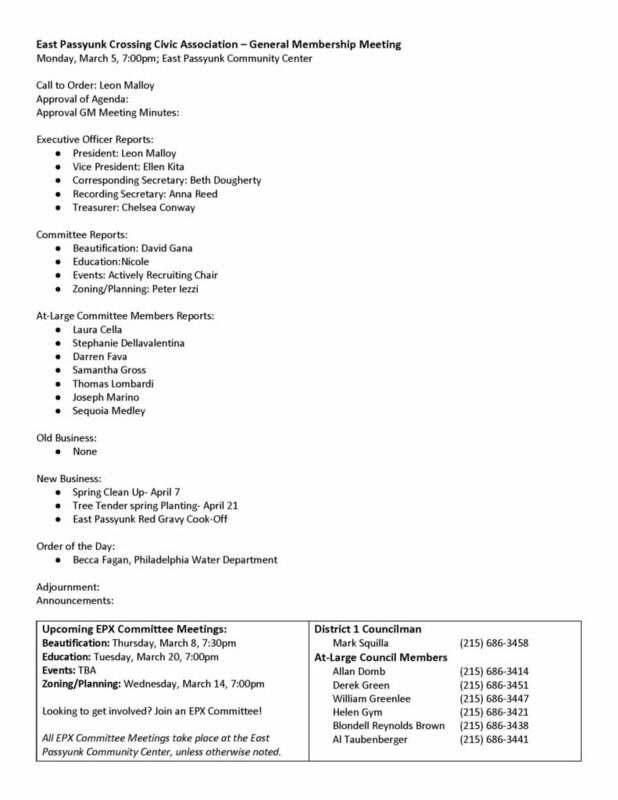 East Passyunk Crossing Civic Association (EPX) will move its meeting and office space staring on June 4, 2013. EPX will now be housed on the third floor of the main school building of Ss. Neumann-Goretti High School in a suite of former offices and classrooms. New signage and accommodations will be made to access the suite via elevator. In addition, the EPX Community Garden will continue to be planted on schools grounds and serve as a boon to neighbors and charities in the area. The Archdiocese of Philadelphia has chosen Ss. Neumann-Goretti High as one of their pilot programs for a Catholic exchange students initiative and they will reside in the former EPX Center. EPX is happy to support the school’s venture into this new educational paradigm. Education is at the forefront of EPX’s civic agenda and stronger schools make for better neighborhoods! Posted in Board of Directors, membership.